Emma Webster Flowers- top quality flowers, personalised design, first class service and value for money. Having tried not to be a florist for 10 years, Emma followed the family tradition by opening her flower shop in Monmouth, South Wales in 2006. Training with the prestigious Judith Blackloch Flower school in Knightsbridge set the bar high. Emma’s offering has always been high quality, inspired and vivid in colour (including pastels!). After 10 successful years and the arrival of her beloved son, she moved from her High Street location to operate from a studio on the family farm in nearby Whitebrook. 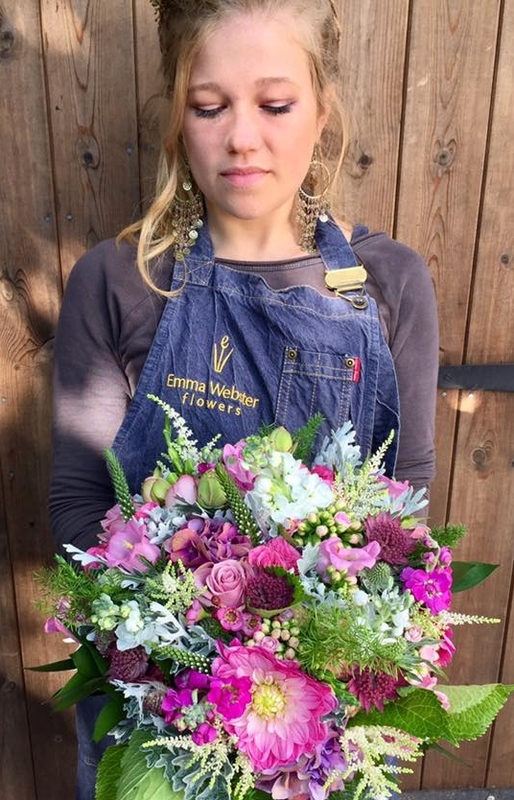 Emma's reputation for top-quality, creative floristry knows no bounds and her work has taken her throughout Monmouthshire, Herefordshire, Gloucestershire and beyond. She is renowned for her eclectic style, combining a multitude of varieties, colours, textures and scents - always with a twist! Millie’s start in floristry began as a work experience student with Emma Webster Flowers in 2013. Throughout her studies (GCSE, A Level, Art Foundation and her current Art Degree at Hereford University), Millie has worked alongside Emma on weddings and events throughout her holidays, weekends and any available opportunity in between! Despite being a talented artist in her own right, Millie’s passion for floristry knows no bounds and much of our work is arranged by her. Bridal floristry is her forte, whatever the style, her arrangements are exquisite.